I know, I know — I left Rhode Island over three years ago, and have always looked back. I don’t even think it’s just my love for the State anymore though. 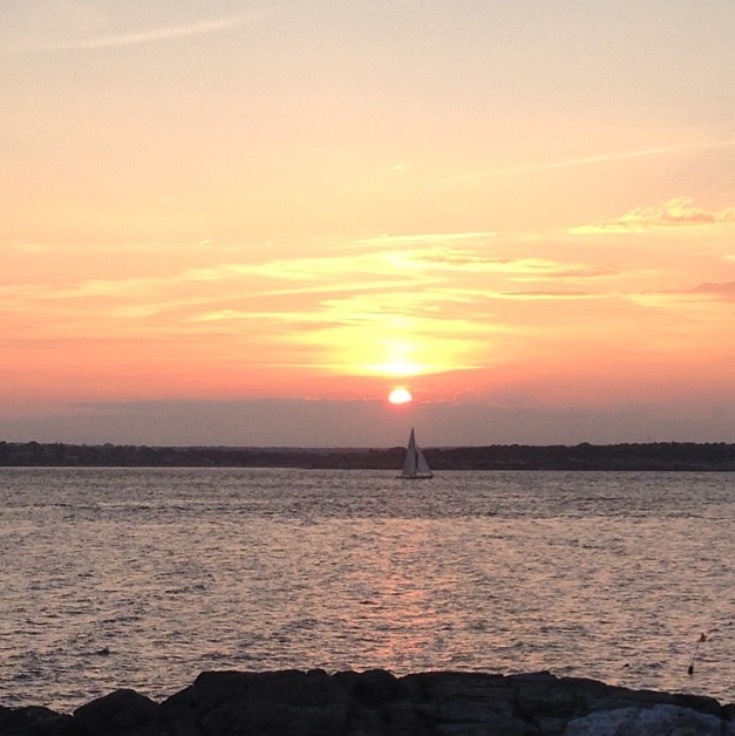 Seriously — Rhode Island has a LOT to offer, especially in the beautiful weather. If you have never been, this is a must-do. From sunset to midnight most Saturday nights throughout the summer, the river that goes through the middle of Providence is lit up. It is very romantic, with music playing as the gondolas float down the river lighting the fire. My favorite part of WaterFire is the smell of blazing cedar and pine. There are also many street performers and food trucks around. A perfect plan: get into Providence and grab dinner somewhere downtown, once the sun sets, head on over and enjoy the scenery. WaterFire is free to attend. This is somewhat new, and very cool. Begin your night lounging by a fire pit up on the rooftop, watch the sun set, and enjoy a pizza and cocktail. It sounds perfect. They have a “chowdah” pizza, that I have been dying to try: topped with smoked bacon, native clams, potatoes and oyster crackers ($19). MMMMM. And, they have a DJ every night. Well, aren’t you trying to be perfect, G.
Want to feel like you’ve stepped back in time? Stop by The Dorrance, right in the heart of Providence for a drink. The interior is stunning, and the bar specializes in cleverly named cocktails. Some of my favorite memories in Providence were just sitting outside in DePasquale Square. 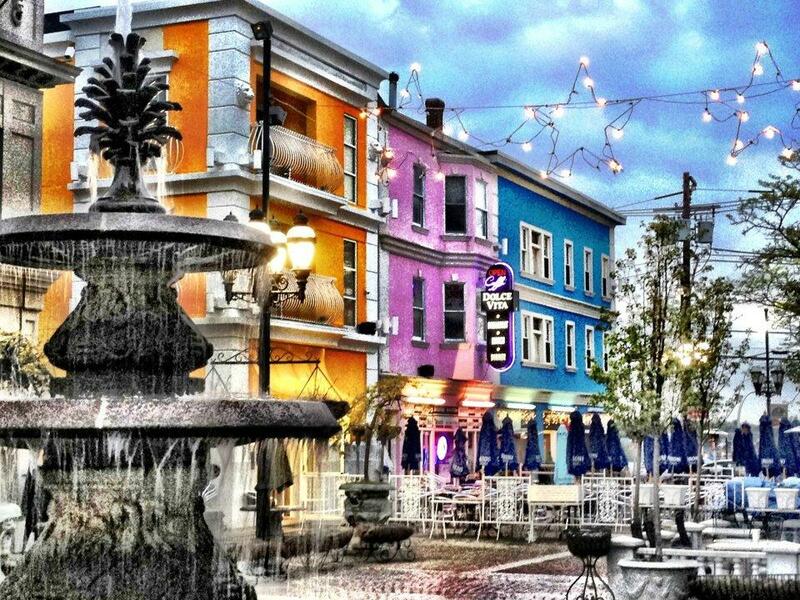 Right at the top of Federal Hill, is an outdoor area that looks like it came right out of a picture of Italy. On summer nights, they have live performers playing music in the square, and some couples will get up and dance, right there in the middle of the City. Grab some Italian food at a restaurant on Federal Hill (some favorites: Costantino’s Venda Bar & Ristorante, Old Canteen, Siena). But, save some room for dessert and stop by Pastiche on your way out. You will not be sorry. Ever been to a tropical island? Well, you don’t need to. Just take a 1 hour ferry and welcome to PARADISE. Block Island is mind-blowing for how fun it is, and stunningly gorgeous at the same time. Seriously, save your $$$$ flying somewhere, and make a weekend stop here. 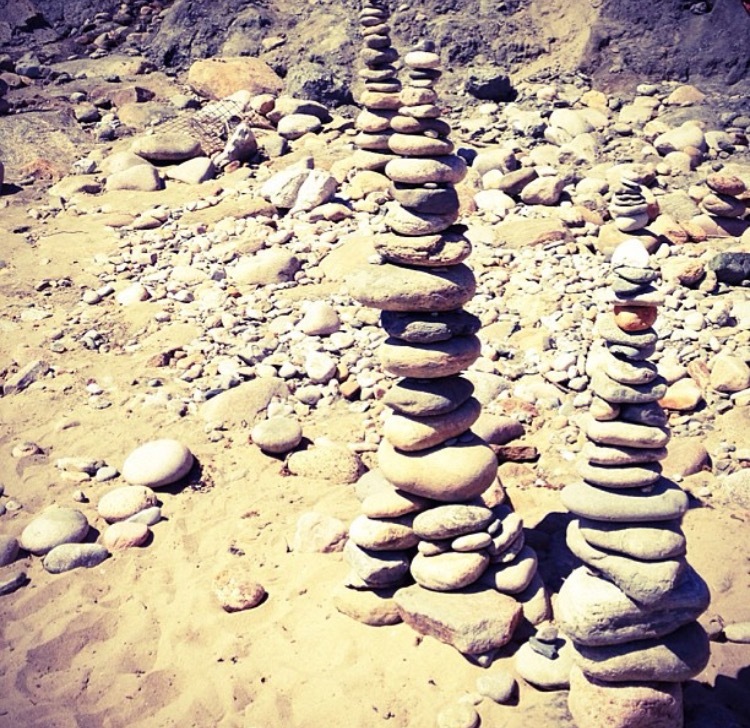 Must do: rent a moped to get you around the island, get a drink on the beach at Ballard’s, build a rock stack at Mohegan Bluffs. Dying to go ASAP. Whether you’re looking to have lunch outside, or just a drink on the deck overlooking the ocean, The Coast Guard House is always a go-to. Stop by Jim’s Dock for dinner and enjoy the sunset right on the water. The restaurant is BYOB, so be sure to bring your favorite wine or beer to accompany a great seafood dish. It is also dog friendly if you want to bring your favorite little buddy. You cannot go wrong being in Newport in the summer. The upside: there is SO much to do. The downside: this is the most well-known area in RI, so there will be lots of tourists/congestion. But, again, there is so much to do for couples, friends, and/or families. I already told you about this one. Have you really not done it yet? Grab a blanket, a bottle of wine, and some cheese and crackers and head to Ocean Drive just before sunset. It will be one of the most beautiful sights you have ever seen. I’m doing WaterFire this summer. Great job Shelby. So much information and good suggestions. Thank you !